I had not heard of the Charcoal in beauty products trend. Apparently it has been around for a while. I stumbled on the Biore Charcoal product line by accident one day about a month ago while doing some online grocery shopping through Walmart.com/grocery (which I absolutely love and find to be a great time saving service for me). 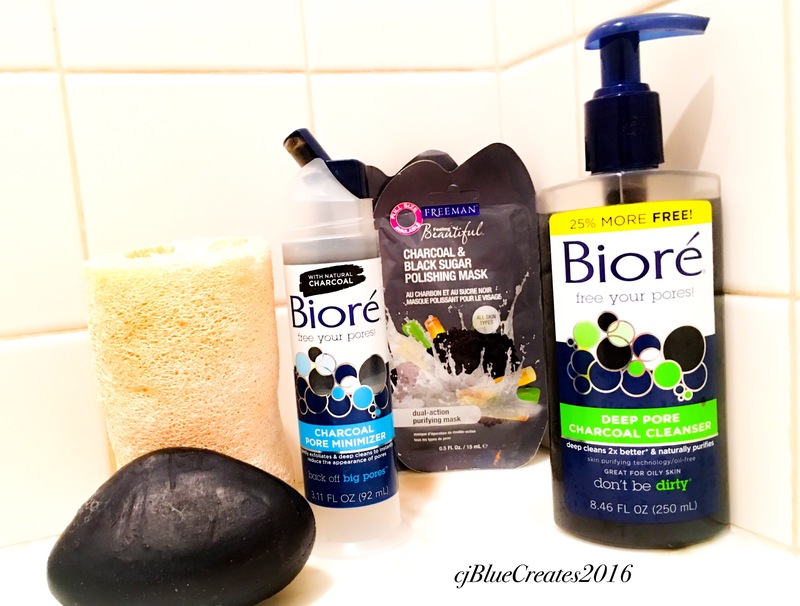 I purchased several of the Biore Charcoal products and have been using them pretty much daily for the past month. I love the product and am happy with the results. I am now obsessed with all things charcoal and look for it everywhere I go. These are some of the products I’m currently using and I’m looking to add some other brands to the mix as well. If you haven’t heard of using charcoal beauty products, I have added links to some sites which detail the benefits of incorporating activated charcoal into your beauty routine. Charcoal – The It ingredient? Here are some links to some of the Charcoal Product lines. If you try any charcoal products or are currently using them let me know what you think. I would love to hear from you!